KAISHA-Tec announces the availability of enhanced vertical workflow solutions for the retail, CSR, local government and accounting sectors. All feature a simple user interface for greater productivity, streamlined workflow and a Sliverlight reporting dashboard for workflow and KPI analysis. KAISHA-Tec announces the availability of new style vertical workflow solutions for the retail, CSR, local government and accounting sectors. KAISHA-Tec Partners, KTC announce the release of a new Subversion Collaboration plugin. KAISHA-Tec in association with their UK partners announce the introduction of the Workflow as a Service business model (SaaS). KAISHA-Tec Partners, KTC announce the availability in beta of a new Subversion Collaboration plugin. Final release is due on September 30th. New Content Module already a success with several key users. Download an overview - "When a Process Diagram is Not Enough"
Brand New!!! Content Module now released, this product is destined to give you control over your project documents. BPM vendor KAISHA-Tec, announced today its new 3-tier concept for its standards based BPM platform - ActiveModeler Avantage Foundation for .Net 3.0. BPM vendor KAISHA-Tec, announced today its strategic bundling of its new standards based BPM platform - ActiveModeler Avantage for .Net 3.0. KAISHA-Tec release their new Avantage BPMN process modeler and automation suite. The product highlights a free BPMN process modeling foundation. 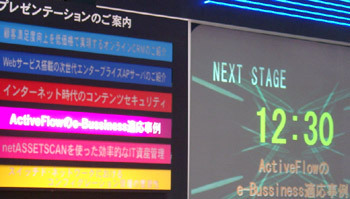 To a select audience in Tokyo, the new BPMN compliant process modeler was previewed. This offers an exciting future for process modeling and participants were keen to experience the full product. Release details will be available early in the New Year. 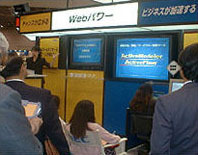 Representative Director Geoffrey Long gives a BPM presentation at the BPM forum in Tokyo. 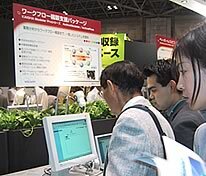 The new KAISHA-Tec upcoming BPMN modeler is also introduced to a very interested audience. This upgrade further enhances functionality and introduces Sarbanes Oxley compliance to the workflow. These new versions offer much enhanced functionality and an upgraded user interface. 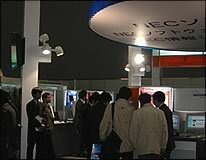 This website reflects these new product releases which offer exciting possibilities to users. 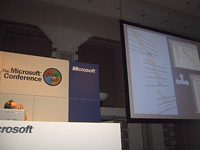 The ActiveModeler to MS-Project interface impresses at the Microsoft Osaka Fall Conference. 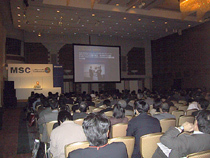 A large crowd attend the seminar to see the interface..
Microsoft, NEC and KAISHA-Tec announce a joint marketing relationship for the ActiveModeler to MS-Project interface. 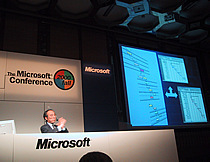 The impressive interface was demonstrated at the MSC Microsoft 2000 Fall Conference on the same day in Tokyo to a very receptive audience. 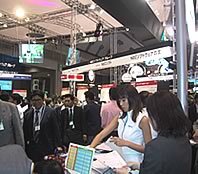 We caused a sensation at the NEC booth, Tokyo Big Sight. 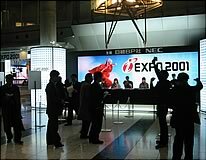 This first demonstration of ActiveModeler with ActiveFlow enthralled the large crowd and received the prestigious BEST OF SHOW award.